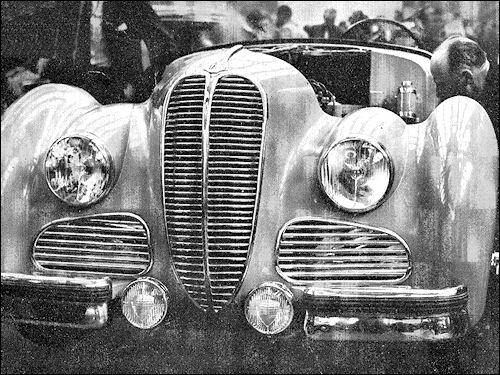 Delahaye obtained from the goverment authorization to resume production under condition that the cars are intended primarily for export. At the Paris Motor Show the brand was one of the very first to present an entirely new model. The partly bodied type 175 chassis occupied the center of the stand. It has a 6-cylinder, 4,5-litre engine giving 120-160 bhp, which drives the rear wheels through a 4-speed electromagnetic Cotal gearbox. The suspension is independent all around. 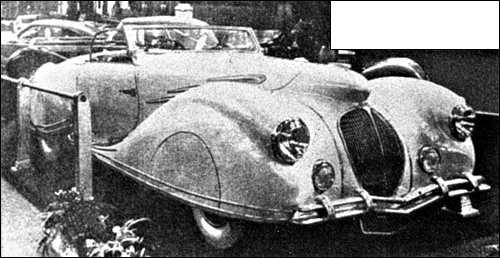 The front is a Dubonnet system with coil springs and horizontal telescopic shock absorbers. 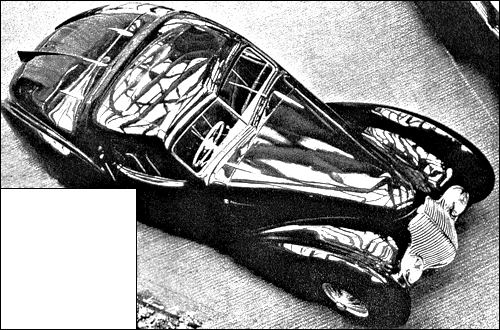 The rear employs a de Dion principle with two leaf springs. 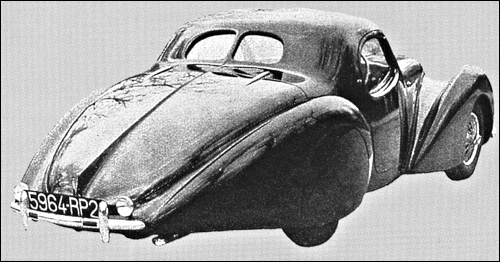 Beside this chassis Delahaye are planning two additional models: a 178 on an elongated chassis for luxury saloons and a 180 on an extra-long chassis for limousines. 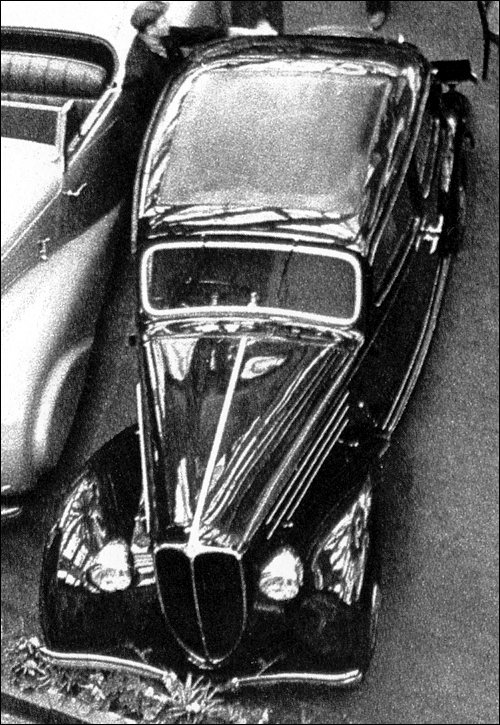 Having around a hundred orders for the domestic market Delahaye decided to resurrect the pre-war 2.1-litre 134 N engine which works better with poor quality petrol available in post war France. The 134 G are for export only. 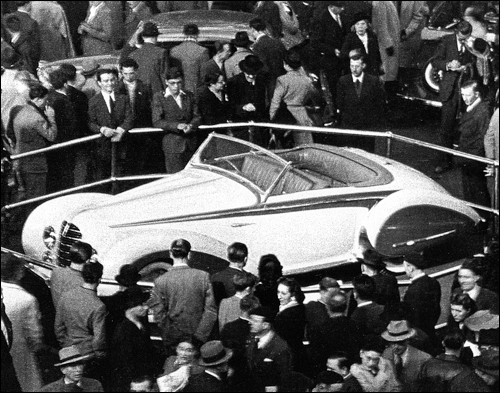 Beside their own stand at the Paris Show, Delahaye cars appeared on nine others including Antem, Autobineau, Chapron, Dubos, Figoni & Falaschi, Franay, Guillore, Letourneur & Marchand, Pourtout and Saoutchik. 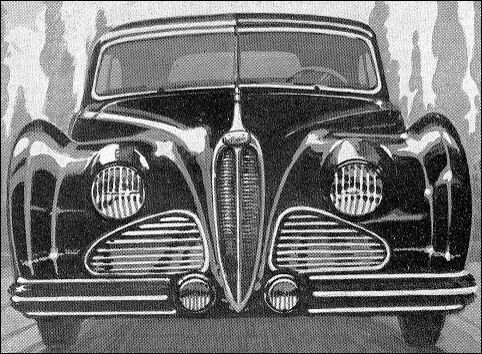 With the exception of Franay all those coachbuilders presented individual bodies built on the ever popular 135 chassis. wb: 295 cm. 4 cyl. wb: 295 cm 6 cyl. 135 cabriolet Chapron at the Paris Motor Show in October. 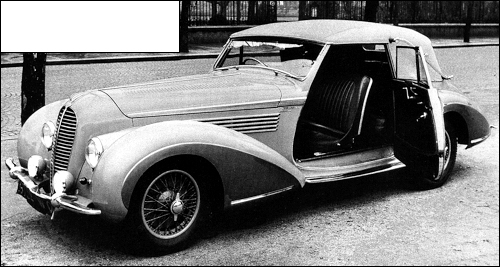 135 cabriolet Narval by Figoni & Falaschi. 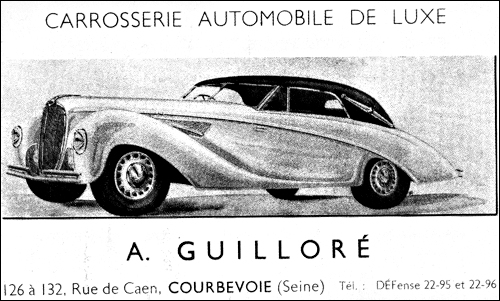 135 M Coupé « goutte d'eau » by Figoni & Falaschi. 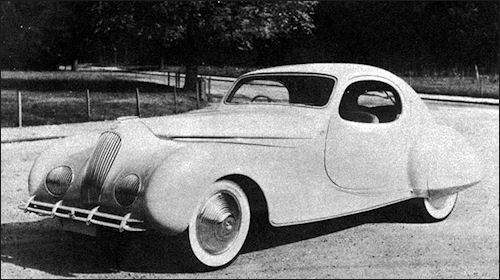 The four passenger Coupé shown is mounted on a 6 cylinder, 116 inch wheelbase chassis. Extremely clean in design, the low streamlined body is remarkably free from external protrusions. Headlights, push-button door mechanism and direction indicators are recessed inside the body contour and both front and rear fenders are faired-in smoothly to the body. The results are a series of long unbroken lines throughout that blend gracefully into one-another, producing a truly pleasing and distinctive car. wb: 315 cm 6 cyl. wb: 6 cyl. 1 carb. 120 ch 6 cyl. 1carb. 140 ch 6 cyl. 3 carb. The 1975 chassis at Paris Motor Show in October. Zwycięstwo (Chaboud) w GP Belgii. Two V12-cylinder pre-war single-seaters resumed service in 1946, but without any notable results. 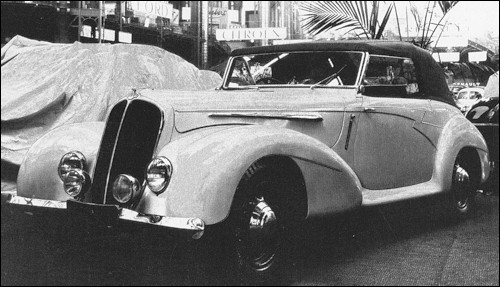 Some 135 Specials from 1938-39 were recovered and re-bodied at the request of Paul Vallée who directs the Ecurie France team and wishes to run three of his four Delahaye 135 during the 1947 season.